The software can convert an OLM file into multiple formats either it be EML , MSG or PST. During the migration of the OLM file into PST Format , the PST files are preserved in an unicode format. The user can convert any number of OLM files into PST format at a time. 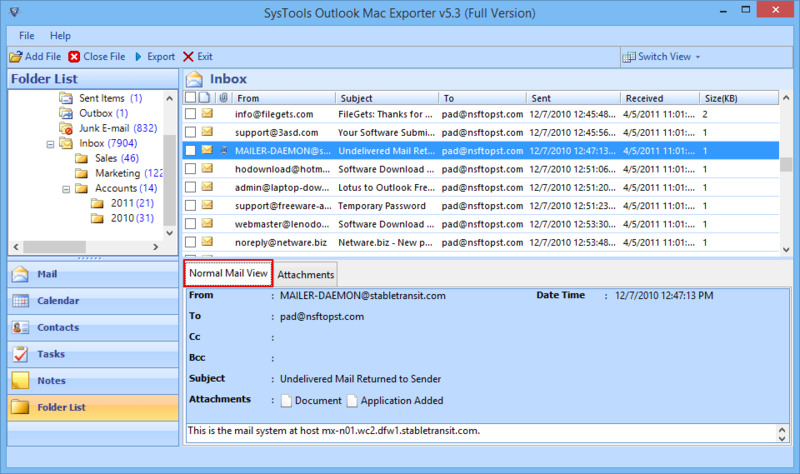 This way the tool can be used to convert data of multiple Outlook accounts. The attachments present in the files either it be images or documents remain in their original format and are embedded into the resultant PST files. The soiftware allows the users to choose the items they want to keep in the PST file after the conversion of the OLM file. After the scanning completes , you have an option to save the scanned copoy of the file so that you can use it in future to avoid the rescanning of a same file. Upon the exporting of the OLM file into the desired format , the user is offered with multiple naming conventions. Each mail can be saved with a different naming pattern. 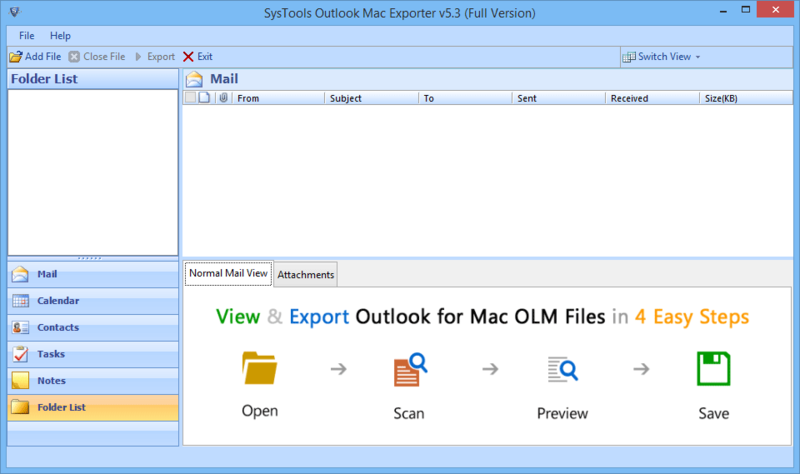 If you are leading a huge organization and using Outlook 2011 for Mac for better emailing and designing experience and have only one system with Mac Operating System as it is costly and a bit complex to use for every employee. For passing any information to all the employees who are using Windows Outlook, there is need to convert OLM files (where database for Mac is stored) to PST format. Handling information manually is a hard task and time consuming. In such case, the user is in need of third party software to convert Outlook 2011 for Mac to Windows Outlook. 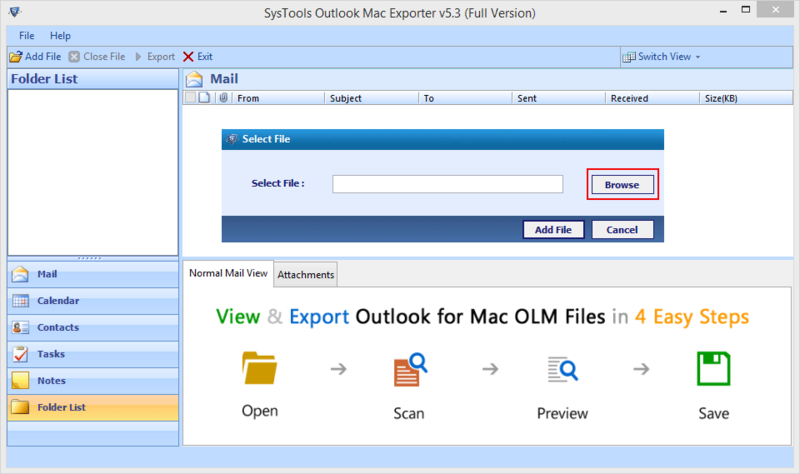 Use OLM to PST Converter to Step into Windows System: Outlook Mac Exporter, designed by our Company is the first problem solver to migrate OLM files to PST Unicode format. The tool works amazingly well with all versions of Windows and Outlook and exhibit excellent quality of conversion results. 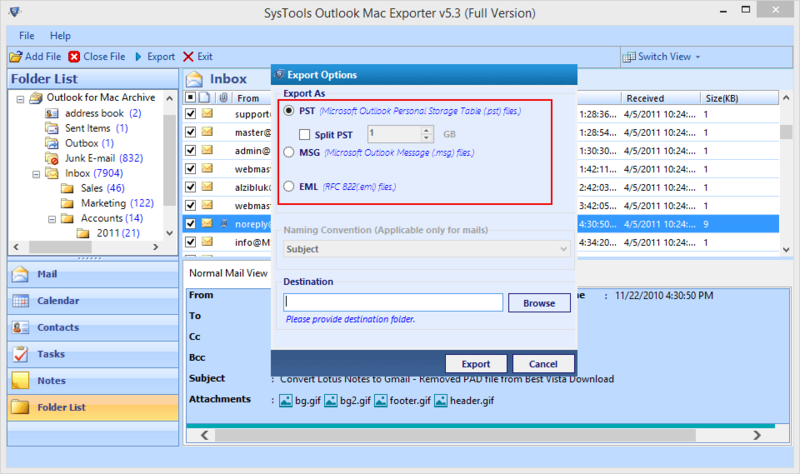 Demo version of OLM to Outlook PST converter can export & Save 25 OLM items to PST file. What is the maximum size of file supported by the tool? The software dows not have any file size limitation. It easily exports OLM to PST file of any given size. What is the format of the PST file created using this software? A Unicode type PST file is created by the software so that there is no file size issue with the file. Will the folder hierarchy be maintained after the conversion? Yes , the folder hierarchy as well as the metadata of the file is retained during the conversion of the OLM file to PST. Does the software support Mac OS? No, Software does not support the Mac OS as it has been developed for the Windows users. 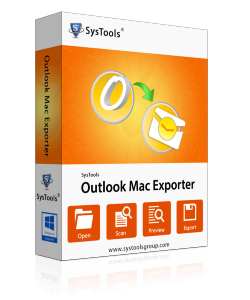 I had a large sixed Outlook Mac File and i was unable to convert it into Windows Based Outlook by any method. Most of the applications failed or crashed during the conversion of the large amount of data. Then I used OLM to PST converter and it successfuly converted the large OLM file into PST. This tool is an easy to use , feature rich and fully capable of converting large sized OLM files to PST. Its interface is also very user friendly thus making it easy to understand.